Hummus is such a healthy and delicious staple for all dietary backgrounds! While it doesn’t require that many ingredients, achieving the right consistency can be quite challenging, especially if you don’t have an ideal food processor. I was recently gifted a Cuisinart Food Processor and it has been a life changer! It really pureed the ingredients very well and I was able to get that whipped consistency I crave. Check out my recipe below! While hummus doesn’t require that many ingredients, achieving the right consistency can be quite challenging, especially if you don’t have an ideal food processor. See this recipe to get that perfect consistency! Turn your food processor on and first add the garlic, pulse until the garlic is super tiny. Then add the beans, EVOO, Tahini, water, cumin, and salt. Pulse it first and then put on high for about 3 minutes until it becomes smooth. Add in the lemon juice, pulse, then put it on high for about 1 minute. Taste test and see if you want to put more garlic, salt or cumin in there! Add a bit more EVOO if you like it to have more of a whipped consistency - put a few more drops in, eyeball it, and taste it to see if you like it. Serve with some paprika sprinkled on top and evoo drizzled. Enjoy your healthy, vegan snack! Add a bit more EVOO if you like it to have more of a whipped consistency – put a few more drops in, eyeball it, and taste it to see if you like it. I love this – turned out super tasty! I don’t have hummus too often, so when I do it must be exceptional. This recipe produces a stellar hummus when executed properly. This is an outstanding recipe. 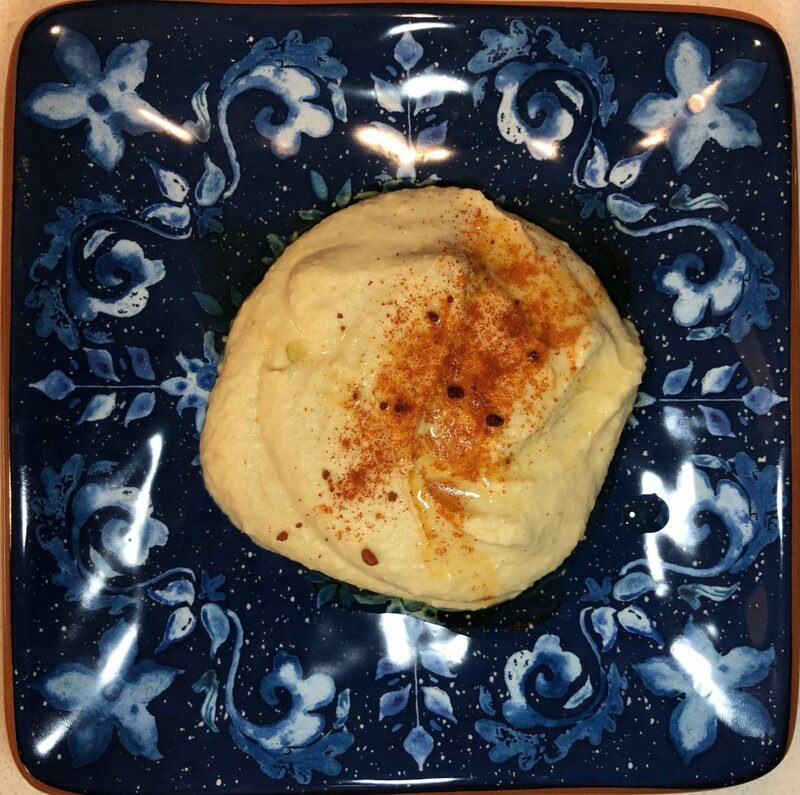 The hummus turns out flavorful, refreshing and great consistency. After eating this, you will never eat the horrid store bought brands like Sabra. I love this hummus recipe! It’s super easy and insanely flavorful!